Arista Networks – the Menlo Park, CA “cloud networking solutions” company – has announced the first competitor to Cisco’s Nexus 1000V virtual, distributed switch for VMware’s vSphere. 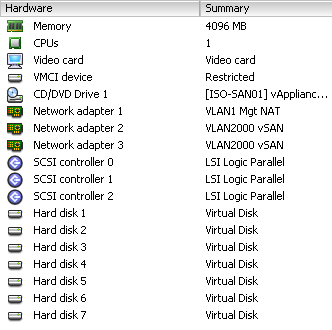 Called simply vEOS (aka Virtualized Extensible Operating System) the virtual machine application integrates into the VMware vNetwork Distributed Switch (vNDS) framework to accomplish its task. The current advantages posed by the vNDS architecture are preservation of a VM’s network state across vMotion events and port configuration simplicity. Enhancements for the vEOS virtual machine will include QoS (with TX/RX limiting), ACL enforcement (when used with Arista’s 7000 series switch family), CLI configuration and management, distributed port profiles, port profile inheritance, VMware port mirroring, SNMP v3 RW, syslog exports, active standby control plane, SSH/telnet access to CLI, “hitless” control plane upgrades, non-disruptive installation and integrated vSwitch upgrade workflow. Another advantage of vEOS for adopters of Arista’s 7000-series 10Gbase-T switches is its derrivation from the switch’s own EOS code base. The EOS image is monolithic with respect to feature set, so there are no “trains to catch” for compatibility, et al. Michael Morris from NetworkWorld has an article about the vEOS announcement along with some additional information about Arista’s plans and how to get your hands on a beta version of vEOS… See Arista’s official press release about vEOS. SOLORI’s Take: While CNA’s are great, 10Gbase-T provides a less “process disruptive” access to greater network bandwidth. Arista’s move with vEOS is challenging both Cisco’s presence in the VMware market and its vision for network convergence. Just like Ethernet won-out over “superior” technologies based on its simplicity, we’re looking at 10Gbase-T’s drop-in simplicity (CAT5e support, 100/1G/10G auto-negotiate, etc.) to drive obvious market share for related products. With the 2010 battle lines drawn in the virtualization platform market, the all-important network segment will be as much a scalability factor as it is a budgetary one. When using the coming “massive” virtualization potential of 2P/4P hardware being released in 2010 (see our Quick Take on 48-core virtualization) the obvious conduit for network traffic into 180+ VM consolidations is 10GE. The question: will 10Gbase-T deliver order-of-magnitude economies of scale needed to displace the technical advantages of DCE/CNA-based networking? You are currently browsing the SolutionOriented Blog blog archives for August, 2009.